Walking with Jesus: Day 69: Mark 2:18-28 & Psalm 70 - How Does Jesus Transform Religion? Day 69: Mark 2:18-28 & Psalm 70 - How Does Jesus Transform Religion? How Does Jesus Transform Religion? If he does, the patch tears away from it, the new from the old, and a worse tear is made. If he does, the wine will burst the skins—and the wine is destroyed, and so are the skins. Should Christians fast and keep the Sabbath? If so, how should our fasting and Sabbath-keeping be different from the way non-Christians - like Jewish and Muslim people - fast and keep the Sabbath? In other words, does the coming of Jesus completely do away with such religious practices or does He transform them in any way? When Jesus was asked why His disciples did not fast, He explained that His presence with His disciples was cause for such joy that fasting was improper. he also indicated that His disciples would indeed fast, once He was no longer with them. But then He gave this unusual teaching about garments and wineskins. So, what does all of this mean? Well, the coming of Jesus and the kingdom salvation that He brings into reality in the lives of His disciples is like the unshrunk cloth and the new wine. 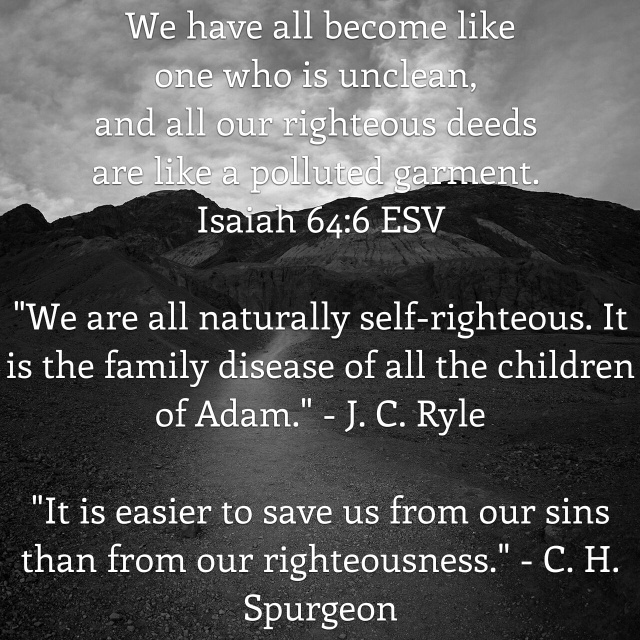 It is new, in that God's people are no longer striving after righteousness and waiting for salvation. Jesus has come. He has purchased our forgiveness and given us His perfect righteousness. The whole nature and shape of religion has changed, from a striving to a resting, from trying to earn favor from God to giving thanks for His favor freely given in Christ. So, what do fasting and Sabbath-keeping look like in this new era of salvation? 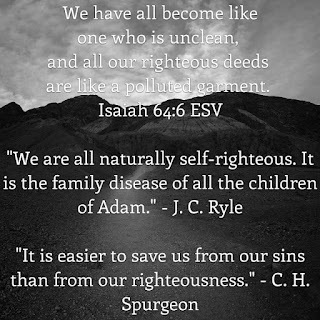 We don't fast to earn God's favor or prove our own righteousness. That's as impossible as it is unnecessary! But we do fast. We fast to sharpen our hunger for Jesus and to express our greater desire for Him than for the pleasures of food. And our Sabbath-keeping, likewise, is not about showing God how religious and disciplined we are. It's about resting in Christ and enjoying Him more fully on the Lord's Day. Jesus does not come to do away with religion, but to turn it on its head. We're not earning salvation. We're not showing how righteous we can be. We're not trying to impress God, as if that were ever possible. No, we're enjoying Him, resting in Him, trusting Him and training our hearts and even our bodies to long for Him more! for they seek my life! for they delight in my hurt! They tempt and then they hurl shame upon the heads of Your people.